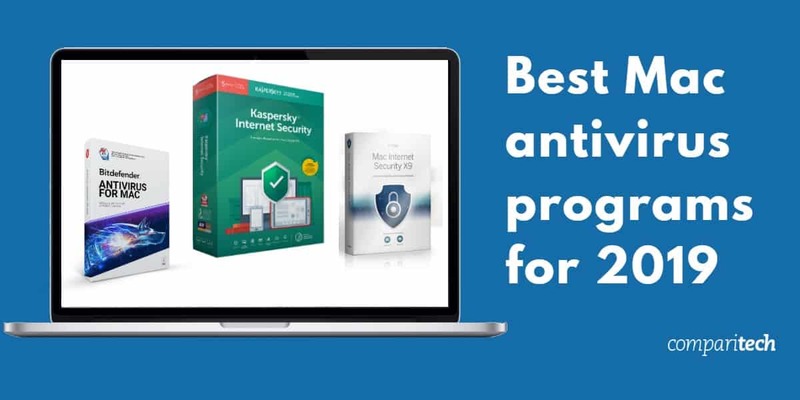 What is the best antivirus for Mac in 2019? Does your Mac need an antivirus tool? The short answer is yes! If you're in the market for Mac antivirus apps (and you should be) there are a few major players with well-known names and great reputations offering quality apps for Mac users. Here's our top 7 picks for the best antivirus for Mac. Perhaps the greatest lie told to any Mac user is this: “Macs don’t get viruses.” If you’re landing on this page, you’ve either discovered, unfortunately, that Macs are indeed susceptible to viruses, or you were just a bit suspicious of the claim when you heard it. In fact, according to McAfee’s 2018 Threat Report, the total number of Mac OS viruses detected in the wild more than doubled since 2016. Mac viruses may less common than Windows viruses, but they’re out there, and can still wreak havoc for Mac users. To keep up with the growing demand for AV tools, a growing number of well-regarded AV software companies are now producing Mac OS versions of their tools. Intego Mac Internet Security X9: Intego only makes antivirus for Mac and it does it very well. Packed with great features and strong results from independent testing labs. Kaspersky Internet Security for Mac: Our top pick for Mac users. Very low CPU usage, high scores from independent testing labs, and billing practices that you can trust. Bitdefender Antivirus for Mac: A good runner-up to Kaspersky which falls behind mostly in performance stats from AV testing labs. ESET Basic Cybersecurity for Mac: A strong performer that does try to push a few unnecessary add-ons at check out. Trend Micro Antivirus for Mac: A good entry at a low cost, but with some user-unfriendly billing practices. McAfee Antivirus: Produces a fully-featured Mac OS version, but mostly as a second-tier product to its Windows software. Symantec Norton Security Standard: An option to consider, but only marginally covered by independent AV testing labs. Despite the fact that most antivirus applications work similarly, no two programs are alike. Indeed, some actually work better for Windows computers than they do for Macs, meaning you’ll want a program that has a Mac version and that is well suited to the task of both cleaning up and protecting your computer. Additionally, one of the largest concerns for Mac users is CPU usage. A good Mac antivirus program should perform well with very little CPU usage and should not noticeably slow down your computer’s processing power. Many fake or shady antivirus programs exist on the market that seek to grift computer users out of their money. Instead of legitimate software, they often provide faulty applications that act more like a virus than an actual antivirus program. All of the software recommended below are not only legitimate programs from reputable software companies but fully vetted across multiple independent antivirus test labs, independent users, and review sites. Note that we specifically utilized AV-Test.com and AV-Comparatives.org scores as these two testing labs are independent. We investigated other respected independent testing labs (such as Dennis Labs and Virus Bulletin) but these either did not have antivirus program tests for Mac programs or did not have recent tests as of 2017. Based on our research, these are the best antivirus tools for Mac OS computers. Intego is the only provider on this list the specializes solely in Mac security. The result is a well polished, effective and easy to use product. In independent antivirus tests Intego is among the top performers. Strong tests scores combined with an abundance of useful features puts it at the top of our list. Intego also passed our review for billing practices, avoiding significant up selling at checkout and only including minimal extra add-on services. For $39.99, Intego attempts to compete with the other top-performing services on price and represents good value for money. Testing lab results for Intego are mixed, but that’s actually a good thing. This company sells multiple versions of its software for Mac users, which is an unusual case since most companies only sell one version. It’s most recently-reviewed software, VirusBarrier received high marks from AV-Test and AV-Comparatives for perfect malware detection. It received mixed reviews for performance but we are told a speed enhancement is in the works. Those who may be interested in Intego will find the company’s consumer-friendly billing and the software’s features to be top-notch, despite the system performance drawbacks. Before you even click “buy,” Intego’s preset option pushes the lowest price point: 1 computer, 1 year. After clicking buy, Intego only tries to push two more one-time purchases: an Extended Download Service similar to Kaspersky’s, and a backup DVD. Best Antivirus for Mac:Intego X9 is our #1 choice for Mac users. An effective and easy to use product that comes with a 30 day money-back guarantee. Kaspersky scored consistently well across different independent lab tests, making it a top option for us as well. However, we also took an eye to the price point and looked for consumer-friendly billing practices. We found Kaspersky’s price and the billing practices to be quite good. Kaspersky offers their service for a relatively cheap $39.99 per year if you’re purchasing the program for one computer. You’ll likely find Kaspersky to be a fast, secure, fully-featured option for Mac computers. In detection tests, Kaspersky scored 100% for AV-Test and 100% for AV-Comparatives. This puts Kaspersky Internet Security for Mac at a perfect 100% detection rate between the two tests, as good as it gets for any antivirus program. In the AV-Test performance analysis, Kaspersky performed extremely well. In AV-Test’s file copying test (which looks at how running the antivirus program impacts file copying of large files), Kaspersky did not increase the amount of time required at all. In the downloading files test, running Kaspersky only netted a 1-second change, small enough to be considered inconsequential. Kaspersky does not try to upsell you on checkout with services you don’t really want or need. If you’re trying to purchase the least expensive option, you’re given a pop-up recommending that you upgrade, but this is easy to ignore. Beyond that, Kaspersky only includes one add-on at checkout, their Extended Download Service (EDS). Read our full review on Kaspersky Antivirus (for Windows). Romania-based Bitdefender is a growing name in the industry. Bitdefender and Kaspersky are effectively similar options for Mac users, even coming in at the same price of $39.99 per month for 1-year coverage of one computer. Bitdefender scored equivalently to Kaspersky Internet Security for Mac in both the AV-Test and AV-Comparatives detection tests. With a perfect 100% from both labs, Bitdefender provides high-quality, reliable threat detection against both known and zero-day malware. In previous tests, Bitdefender fell slightly behind Kaspersky in performance tests, but that’s no longer true. Stats from both AV-Test and AV-Comparatives show this software to hit all the right marks for performance, usability, and importantly, threat detection. Bitdefender’s tool identifies 100 percent of the Mac malware it comes across in the wild, including zero-day malware. You can manage to easily purchase Bitdefender without adding onto the final price, you’ll just need to be a bit more crafty about it than with Kaspersky. 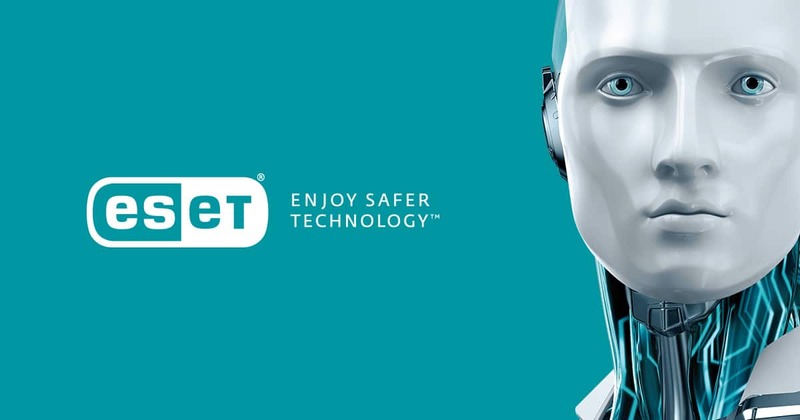 Slovakia-based ESET has several versions of its antivirus software for Mac users. The simplest, cheapest option, Basic Cybersecurity, is just that: basic. For $39.99 (the same price point as the other competitors on this list), ESET provides two key benefits: protection against malware, and (limited) protection against ransomware. ESET makes our list as it does offer sound protection, but it’s far from the best, hence its lower position in the rankings. ESET performed well in recent AV-Test detection results. The software detected 100% of the malware sent its way, while it had somewhat lower, but still good performance scores (system impact). AV-Comparatives did not test this option, so we put it lower on our list due to list. If you opt for the pro version, you’ll also get firewall protection and parental monitoring tools to keep your kids safe online. The ESET Mac antivirus software did not do as well as our two top choices but still had only a marginal system impact. Where ESET performed the worst in our billing practices analysis The company does try to push more add-ons at checkout than the other options on the list. However, it also is upfront about the auto-renewal policy. You can select to auto-renew your subscription near the end of the checkout process. It would certainly be preferable for ESET to inform users of the auto-renew earlier. Nevertheless, it’s a positive aspect for the company that they do allow this to be turned on or off before you finalize payment. With a perfect score from AV-Test and a near-perfect score from AV-Comparatives, Trend Micro Antivirus for Mac is a good potential option for Mac users. AV-Test gave this option an 18/18, with perfect scores in the protection, performance, and usability (false positives) categories. In lab tests, it detected 100% of tested malware samples, had only a minimal amount of performance impact for system processing, and sent back no false positives. The software performed less admirably in recent AV-Comparatives tests, as it shot back over 40 false positives in the lab tests. That said, AV-Comparatives gave Trend Micro 2 out of 3 stars, making it overall a suitable option to consider. 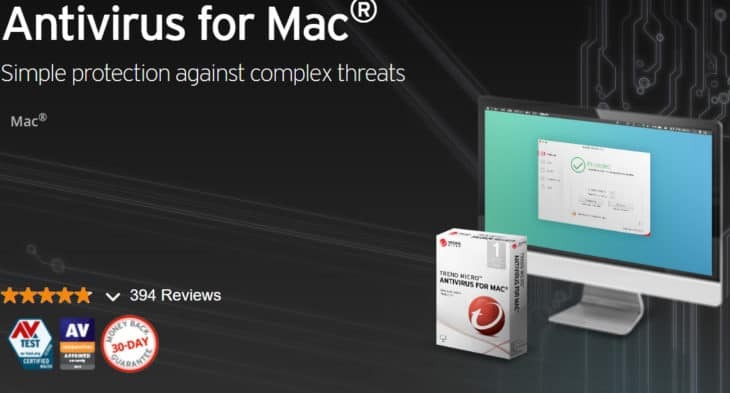 Trend Micro’s Mac software is also priced equally to the top options, at $39.99 per month for 1-year protection for a single device. There are usually 1st-year deals as well. Unfortunately, Trend Micro gets a big strike against it for its billing practices. You won’t much information about auto-renewal when you go to purchase, and you have to go digging into the FAQ’s to learn how to turn off auto-renewal. You can only turn off the automatic subscription renewal service after you’ve signed up by going into your user settings on Trend Micro website. McAfee doesn’t end up high on our list, but this product does sell a Mac version for its Total Security software. It’s lower on our list, however, because there are no current testing lab results for this software for 2018-2019. The most recent results, as of this time of writing, are from 2017. What we do have to go off of, however, are the Windows test results. McAfee offers the same tool for Windows and Mac, but there may be differences in how it works with both operating systems. As for the Windows results, Total Security received 3 stars from AV-Comparatives (its highest score), while it got perfect scores from AV-Test as well. This means perfect scores for malware detection, no false positives in the tests, and very little system impact. It even has a „Top Product“ stamp from AV-Test. The biggest problem with McAfee is its pricing and its billing practices. McAfee almost always has „deals“ posted on its site, so the price you pay upon renewal is going to be quite a bit higher than what you pay at checkout today. Additionally, Total Security’s base price is high – $69.99 per year for 1 license, which is about twice the price of its competitors. Furthermore, McAfee implements auto-renewal automatically. You can’t turn it off at checkout, so if you don’t want to auto-renew you’ll need to remember to go into your account settings and turn it off after purchasing the product. A large number of features. Highly-rated by independent testing labs. No option to turn off auto-renewal at checkout. You’ll find that McAfee Total Protection is a great option for those who want a more powerful tool for Mac OS with as many features as Windows users typically get to enjoy. However, you’ll need to be wary of the billing practices. Read our full review of McAfee Antivirus (for Windows). Norton’s tool lands rather low on the list primarily because of the price. While it’s well rated by AV-Test (offering perfect scores in malware protection, performance, and false positives), like McAfee Total Security, Norton Security Standard has an introductory price that’s cheap but shoots up dramatically after the first year. You’ll find yourself paying nearly $80 per year for just one device. If you opt for the Premium version, you’ll also get cloud back-up, and multiple-device coverage (including mobile devices). Some of the higher-tier features don’t work on Mac, however, including Norton Family, meaning you’re probably best sticking with the Standard version. Norton’s billing practices also leave a lot to be desired. When you go to purchase the product, you get a pop-up window that tries to get you to buy additional software as a bundle. The only way to get past this screen and get to the regular checkout is to hit the „X“ in the corner of the pop-up. If you click the regular links to proceed in the window, you’ll be headed toward the checkout with the add-ons in your cart. Finally, auto-renewal is not just forced, Norton does not provide any easily spotted information on its auto-renewal policies at checkout. This makes it far too easy to sign up without realizing you’ll be getting not only an auto-renewed subscription but a far higher price once the auto-renewal hits in one year. If you do sign up for Norton Security Standard, be sure to turn off auto-renewal your account settings. Read our full review of Norton Security (for Windows). You certainly aren’t the first to question the validity of the claim about Macs and viruses. “Can Macs Get Viruses and Malware?” asked DigitalTrends in a 2015 article. “The answer is definitely, yes,” Bitdefender’s Senior E-Threat Analyst, Bogdan Botezatu told the online magazine. “There have been incidents, and there will be more.” Botezatu’s statement may be a bit of an understatement. In reality, Mac OSX is the 4th most vulnerable operating system, according to data from the CVE Vulnerabilties list. In truth, Mac OSX has more vulnerabilities than competing Windows operating systems, including older Windows versions such as Windows 7, 8, and even Windows Vista. According to McAfee Labs, malware attacks on Macs rose a jaw-dropping 744 percent in 2016. Despite this increase coming primarily from bundled adware, the case against the mythological “virus-free” Mac grows stronger every day. Although it is true that, by percentage, Mac’s make up a very small percentage of computers getting viruses, this has more to do with smaller market share than Macs simply having better security. NetMarketShare states only 3.52 percent of all computers are running Mac OSX. There are currently more computers running the nearly 20-year-old Windows XP operating system. Still, there is some truth to the claims. Mac OSX operating systems are sandboxed, meaning that it’s harder for a virus to spread throughout your system if it does contract a computer virus or malware. Additionally, the tools necessary to create malware for Macs are not as readily available or as easy to create as they are for Windows machines, making them less vulnerable because virus developers need more time and motivation to craft the malware. From a larger perspective, however, Mac’s don’t so much avoid getting viruses as they are less likely to be targeted by hackers due to the low chances of actually turning a profit. Microsoft notes that there are 400 million Windows 10 users, there are also 100 million Apple users. The chances of turning a profit for a hacker are far higher when targeting Windows machines. Nevertheless, with 100 million Mac users, the opportunity is still there, and virus developers are increasingly taking advantage of Mac user complacency, especially as Apple’s devices grow more popular internationally. Do you need antivirus protection for your Mac? The simple answer is yes. Every Mac user should have antivirus protection on their computer. The bigger question that comes to mind, then, is which is the best antivirus for Mac computers, and what should Mac users be looking for when shopping around for an antivirus program. See also: Our top MAC VPN recommendations. AntivirusIs Free Antivirus Software Good Enough? AntivirusShould you run additional security programs if you already have antivirus installed?